What do my Clients think ? Mrs. Hinson has been my VA for the past two years. Her role involved remote and on-site functions in a wide range of areas from admin to bookkeeping and logistic functions. She has excellent computer literacy and a wide network of contacts that have helped me complete many projects on time and with high quality. She is a diligent hard worker with excellent interpersonal skills and a wide range of skills in various areas and will gladly recommend her for any role . 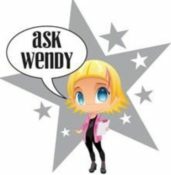 “Wendy from Ask Wendy has been an absolute blessing and not only did we save money and time by using her services, but we also made money! Our network grew as a result of interacting with the many businesses and organizations that Wendy Hinson deals with on a daily basis as an Virtual Assistant”. “Wendy has always provided us with quick, efficient friendly service. Wendy has assisted us with recruitment, HR and administration services”.